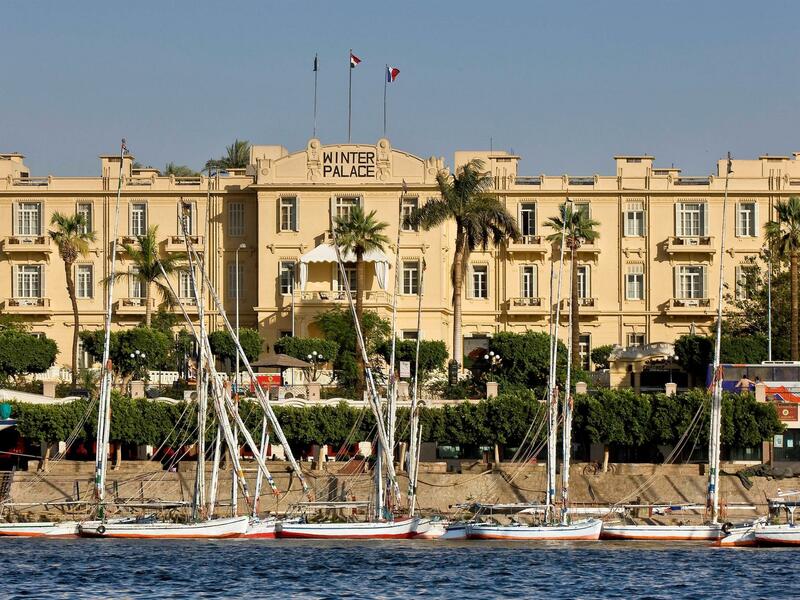 ﻿ Sofitel Winter Palace Luxor Luxor. JIMAT di Agoda.com! Jika apa yang anda cari adalah hotel dengan lokasi menyenangkan di Luxor, cuma perlu lihat Sofitel Winter Palace Luxor. Dari sini, tetamu boleh menikmati akses mudah kepada semua yang bandar meriah ini boleh tawarkan. Juga terletak berdekatan adalah Jolleys Travel & Tours, Sherif Tours, Candi Luxor. Sofitel Winter Palace Luxor menawarkan perkhidmatan yang sempurna dan semua kemudahan penting untuk menceriakan pelancong. Tetamu hotel boleh menikmati kemudahan seperti Wi-Fi percuma semua bilik, meja depan 24 jam, simpanan bagasi, letak kereta berjoki, tempat letak kereta. Alami bilik dengan kemudahan berkualiti tinggi sepanjang anda menginap di sini. Sebahagian bilik menyediakan televisyen skrin rata, penyaman udara, bar mini, beranda/teres, telefon untuk memudahkan tetamu berehat dan kembali bertenaga. Sepanjang hari anda boleh menikmati suasana yang santai dengan kolam renang terbuka, rumah urut, meja biliard, meja ping pong, taman. Dengan lokasi yang ideal dan kemudahan sepadan, Sofitel Winter Palace Luxor sangat memuaskan hati. We only stayed two nights - should have had another to make use of the gardens and breakfast more! So my advice is don't rush Luxor's sights - split it up to make use of the hotel facilities. Although the hotel and rooms are looking a bit worn, the ambience is incredible - especially in the bar in the evening! The restaurant menu was a little limited, but the staff are excellent and always wanting to please. We went early Feb which they term as “winter” but inner temperatures are as high as 30 degrees and room is very stuffy. Can’t open windows because there are mosquitoes. Air conditioning was switched to cool but there’s no cool air, and staff actually said the central setting is on heater mode and no air conditioning available. This is ridiculous for a 5 star property under Sofitel with the amount we paid. Barely slept that night with mosquitoes bites. Design of the hotel is very vintage and colonial style, and appreciated the good breakfast service. However would not recommend. Sofitel has its own class. This one in excellent location, aristocratic & elegant. Staffs were charming and very helpful. The garden is awesome. This building is from another time. The floors. The ceilings. The chandaleirs and lights. And the period furniture. Just amazing. It’s worth the time to stroll the wide hallways checking out all the photographs and paintings. Climbing the magnificent staircase. And looking out onto the gardens. Even on a 45 deg day, the gardens felt cool and calm. And then there is the huge pool area at the back. The staff were all friendly and efficient. Breakfast buffet was great too. Nile view room was large and comfortable with a small balcony to sit out on and relax. Very nice marble tiled bathroom with a tub & shower. Overall, this place is definitely worth considering. 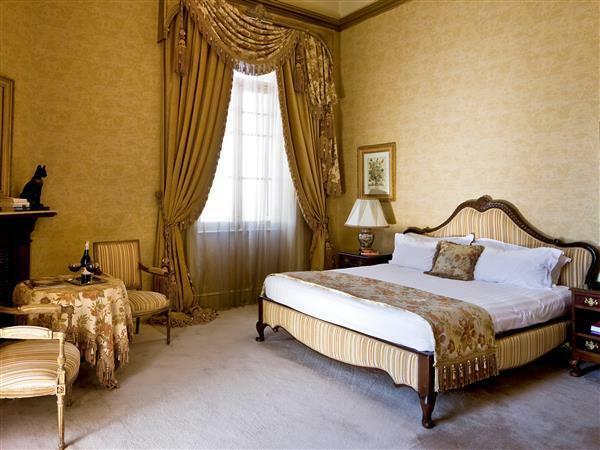 It's a little expensive for what you get purely as a hotel compared to others in the area, but if you like heritage hotels it's worth the money. Great location near the temple, great pool, good restaurant, nice bar and good staff made for a nice stay. The garden is also a lovely place to sit or take a slow walk after a busy day exploring. If you just want a good hotel manybe there are others better value, if you like heritage hotels with a bit of history, this is the best choice for Luxor . The location, right close to the centre of Luxor, so that a lot of things were within walking distance. 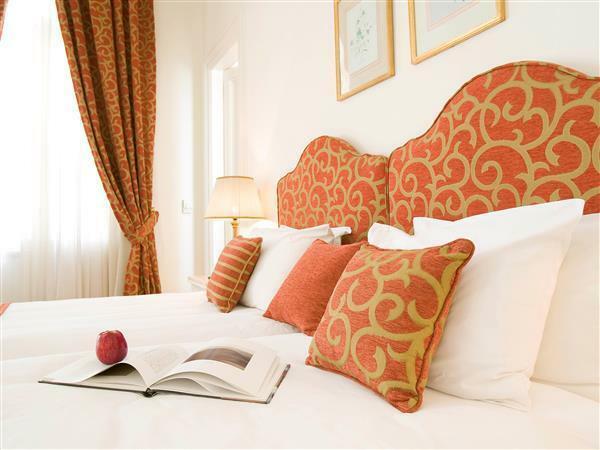 Lovely atmosphere, nice bedding and sheets; however, services are still needed to be instructed. Once you tell them what you need exactly, they will deliver it. If not, it seems like they keep forgetting. Some staffs don't speak English well enough; so need to go to higher position staff. Heater didn't seem to work at the time. we were amazed by this property, we had connecting rooms with our 13-15 year olds (great size) , we live in indonesia and are in the hospitality industry and found everyone extremly accomodating , nice pool for doing laps, breakfast was an experience, - should have stayed one more day - stay 2 nights you will not be disappointed!! special thanks to the staff who went to the phamacy to get meds - and was able to do it within 45 minutes!! the best deal through agoda!! This is for sure the best place to stay in Luxor! An historical place with the best modern facilities where you can relax and leave behind the busy city noise. The garden and swimmingpool are amazing. Great place to hang out for a few days and really relax. Location is very central. Huge rooms with massive bathrooms, beautiful outdoor pool area, wonderful sense of old world grandeur, very helpful friendly staff. 1816 restaurant was over-hyped and needs to be dragged into 21st century ! From the moment you step through the front door you feel as if you are being swept into another world. This was King Farouk's winter palace and it is easy to imagine being a part of this era. The hotel displays many historic items, which makes it a very interesting place to stay. 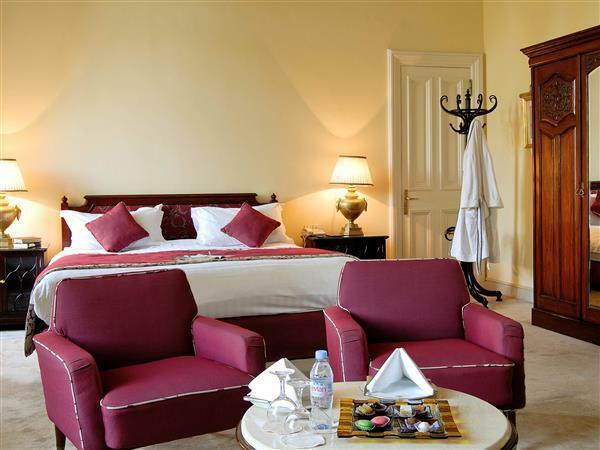 The position is excellent, being right in the heart of Luxor and opposite the Nile. 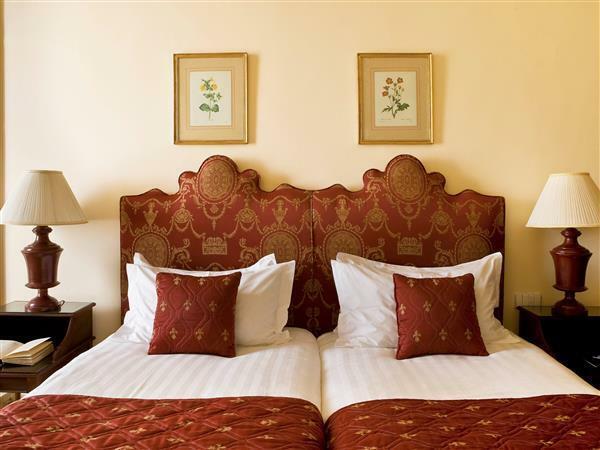 Wonderful friendly staff help to make your stay and the hotel restaurants are all very good value apart from the 1816 fine dining option (see above) The rooms are well appointed and very spacious and the pool area is really lovely. I have to mention the lifts - these are probably the quaintest lifts left in operation in the world ! There is no other place to stay in Luxor that can compare. The Winter Palace is superb. 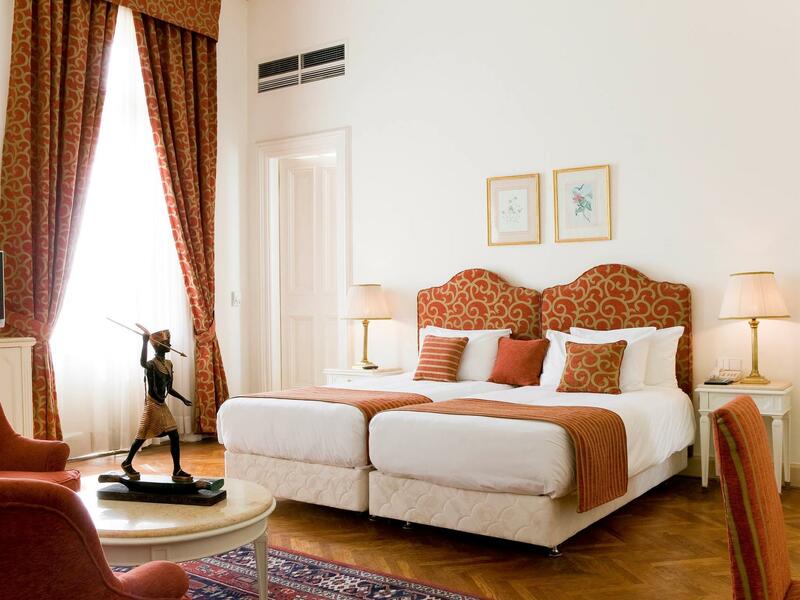 Some scoff at the high price, and indeed you can stay next door in the adjacent sister Accor Pavillion hotel for half the price, but we found that the Old Winter Palace rooms have a timeless charm that are simply divine. 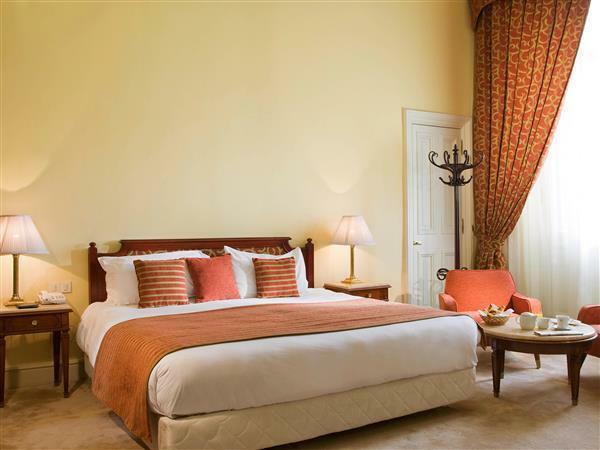 Most rooms have a balcony overlooking the Nile or lush green garden. If you only have one night in Luxor, this is the place to splurge. 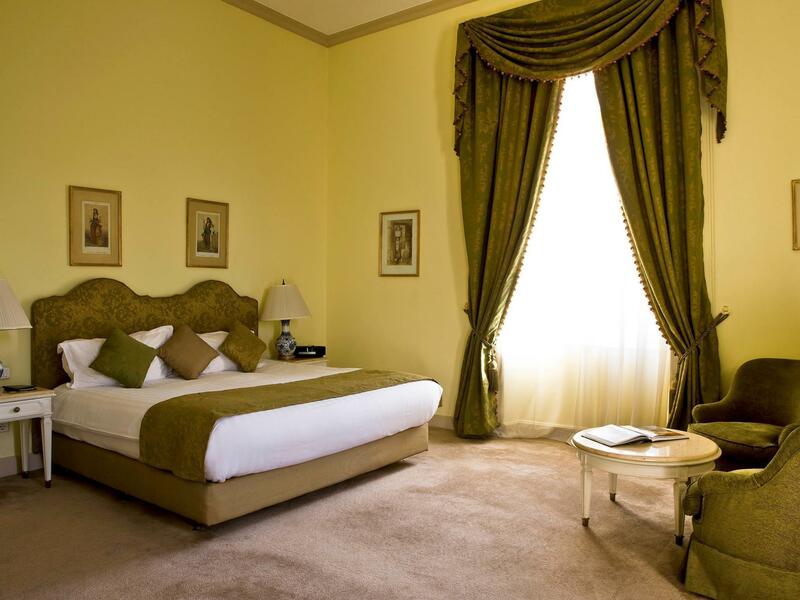 It's still much more affordable than a luxury hotel in Cairo, and worth every penny! The facilities are 5 star and truly make you feel like you're staying at a fine european resort, but at a fraction of the cost! The rooms are large and comfortable. The view is absolutely stunning, especially over morning coffee on the balcony while felucca boats sail calmly down the palm-rich Nile below, with morning call to prayer humming distantly in the background. It's an equally lovely moment at sunset. Nothing is more exquisite than the impression this setting leaves on your mind. And the location is ideal. It's right next to the Luxor Temple which offers amazing sightseeing both day and night. The airport is only 15 minutes away by taxi. And the souks at the bazaar are just steps away. That is, if you can tear yourself away from your room, the pool, the elegant lounge where afternoon tea is served each day, or the tranquil gardens where you can sit and read a book or smoke a pipe. We highly recommend the Old Winter Palace Hotel and will return again most certainly. Palace vieillissant méritant un profond lifting ! Salle à manger sinistre, mobilier vieillot, moquettes tachées, ascenseurs hors d'âge, connexion Wifi inexistante, service lent, dîners quelconques et décevants, plats tiédasses, et télévision figée. En revanche parc magnifique, grandes piscines agréables, mais snack quelconque. Nous avons été virés de la salle à manger 1886 malgré une réservation pour 8 personnes...pas de cravate !!! la salle est resté vide toute la soirée et ils n'ont pas vendu un seul couvert, mais Accord est riche et s'en fiche ! pourtant la suite présidentielle était occupée par une dizaine de rappeurs !! mais là pas de problème !! même si ils ont passé une partie de la soirée à téléphoner dans le couloir !! et les chambres, préparez-vous à une longue lutte pour obtenir le standard que vous avez réservé ! un conseil oubliez les chambres sur le Nil...pas de double vitrage et un potin jusqu'à tôt le matin ! de toutes façons le muezzin commence à 5h30...courage ! Superbe jardin excellent petit déjeuner, personnel très hospitalier amical et efficient,je le recommande vivement pas de problème de sécurité partout où nous nous sommes promène Caire Urghada ,Luxor et Assouane, le prix des repas est Étonnement bon marché. Très contente de mon séjour.